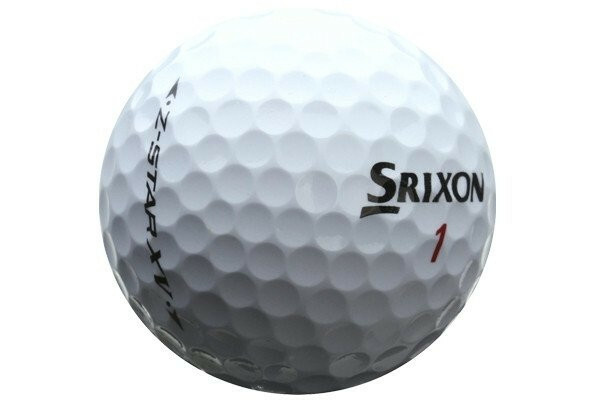 Srixon Z Star XV: Distance And Massive Spin From A Single Golf Ball! The Srixon Z Star XV provides maximum distance whilst being one of the softest golf balls on the market. The urethane cover is ultra thin which allows for a huge amount of bite around the greens. For golfers who wnat long distance with the bigger clubs but are looking for grip and spin on the approach the Srixon Z Star XV may be the ball from heaven. The Z Star XV sits right up there with other tour line golf balls such as the Titleist Pro V1X, Taylormade TP Black, Bridgstone B330 and the Callaway HX Tour. Golfers who have played and enjoyed these golf balls will find that the Z Star XV offers very similar characteristics and may suit their game. A popular ball on all professional tour's the Z Star XV is a ball made for players who love the finer aspects of golf. The balls are always in good condition, well priced and delivery is quick. Very happy and will continue to be a customer. Great balls and great service ,will be back when I have Lost this lot. Ordered a.m.. Delivery occurred same afternoon. Great service. Balls were in great condition and delivery was super prompt. Good turnaround time, quality balls. fantastic quick and reliable service, product was to satisfaction. Srixon Z Star XV: Distance And Massive Spin From A Single Golf Ball! The Srixon Z Star XV provides maximum distance whilst being one of the softest golf balls on the market. The urethane cover is ultra thin which allows for a huge amount of bite around the greens. For golfers who wnat long distance with the bigger clubs but are looking for grip and spin on the approach the Srixon Z Star XV may be the ball from heaven. Technical Information Of The Srizon Z Star XV: - 4 piece construction - 324 dimple design - urethane cover - energetic gradient core The Z Star XV sits right up there with other tour line golf balls such as the Titleist Pro V1X, Taylormade TP Black, Bridgstone B330 and the Callaway HX Tour. Golfers who have played and enjoyed these golf balls will find that the Z Star XV offers very similar characteristics and may suit their game. A popular ball on all professional tour's the Z Star XV is a ball made for players who love the finer aspects of golf.